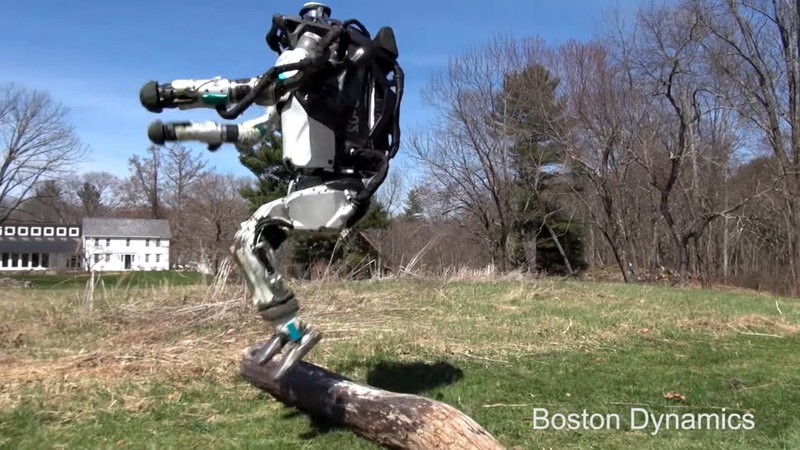 While the NFL draft is already over, the Boston Dynamics Atlas robot is angling for a free agent workout with its latest highlight video. We've already seen one backflipping, but considering the abilities necessary, it's nearly as impressive to see a robot running untethered across open terrain, and easily clearing a small obstacle. The stats on its 40 time and vertical aren't world-class yet, but a glance at older PETMAN walking demos from 2009 show how far the technology has come in just a few years. We're betting the next DARPA competition will look a little different from the last one.